The Japan Airlines Corporation on Friday announced a net loss of $1 billion in the last quarter and a set of hefty cuts to its international flight schedules, the latest in a flurry of similar measures by airlines around the globe as the industry reels from sharply reduced demand for air travel. 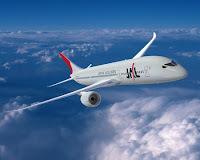 Japan Airlines, one of Asia’s largest, said it was making “drastic adjustments” to its network and fleet size in a bid to adjust to slowing demand, further reducing flights on eight international routes and discontinuing two others from Oct. 25. It will also deploy much smaller aircraft on 14 international routes as it struggles to shore up profitability in the wake of the toughest conditions the airline industry has faced in decades. The company posted a net loss of 99 billion yen for the quarter from April through June, compared with a loss of 3.4 billion yen in the same period last year. Revenue collapsed by 32 percent, to 334.8 billion yen. Business conditions, it said in a statement, were “starkly harsher” than a year ago, in part because of the flu outbreak in the spring, which hit leisure travel hard. The results echo those at other airlines: Singapore Airlines, British Airways and Air France-KLM were also among those last week to report losses for the same period. Hit by soaring oil prices last year, and a collapse in passenger and cargo demand as the global financial system convulsed late last year, the entire industry has been forced to announce major cuts to services and investment plans. Many have idled planes, delayed or scrapped orders for new aircraft, and cut jobs. The latest data from the International Air Transport Association, released last week, showed global passenger numbers in June down 7.2 percent from a year earlier, while freight traffic — an important source of revenue for many carriers — was 16.5 percent below June 2008. Although those figures also hinted at stabilization, they still made grim reading. Most carriers remain gloomy about the prospects for recovery, and analysts believe many may need to announce yet more cost cuts and strategic rethinks unless the situation improves. Cathay Pacific, the Hong Kong-based carrier, for example, this week said it might have to shift its business model away from the current heavy reliance on business and first-class travel. This segment of the market has been hit especially hard by the economic downturn as companies, in search of savings, shifted corporate travel away from premium to economy class. The flight cuts announced by Japan Airlines on Friday include plans to halve the number of weekly flights between Narita airport of Tokyo and Guangzhou, in southern China, to seven. Flights between Haneda airport of Tokyo and Hong Kong will be cut to 3 a week, from seven; and flights from Narita to Delhi will also be cut to three a week, from seven. The airline will also reduce flights from Osaka to Shanghai and Seoul. Services between Nagoya and Paris, and Nagoya and Seoul will be suspended entirely. Japan Airlines currently has seven weekly flights on those two routes.